A depiction of the sixth Shi'a Imam, Ja'far al-Sadiq, by a Muslim artist. Jaʿfar al-Sadiq (in accurate transliteration, Jaʿfar al-Ṣādiq; Arabic: جعفر الصادق, in full, Jaʿfar ibn Muhammad ibn Ali ibn Husayn) (702 – 765 C.E.) is believed by Shi'a Muslims to be the sixth infallible Imam. He is the last Imam recognized by both Ismaili and Twelver Shi'a schools. The dispute over who was to succeed him led to the split of the Ismailis from the mainstream Twelver Shi'a and the establishment of the Aga Khan's family line. He is also credited with developing the doctrine associated with the Imam as infallible, sinless and inspired, to whom loyalty is owed as a mark of legitimate Muslim identity and obedience. He was a skilled and astute leader at a time when his community lacked political autonomy and was often persecuted by the majority. He enabled that community to develop a distinct identity that could be preserved despite the adverse conditions in which his followers lived. Al-Sadiq is respected by both Shia and Sunni Muslims for his scholarship, pious character, and academic contributions. Although he is perhaps most famous as the founder of Shia fiqh, known as Ja'fari jurisprudence, he had many other accomplishments. As well as being an imam on the Shi'a chain, his presence also graces the Naqshbandi Sufi chain as a Grand Sheykh. He was a polymath: an astronomer, alchemist, Imam, Islamic scholar, Islamic theologian, writer, philosopher, physician, physicist and scientist. He was also the teacher of the famous chemist, Jabir ibn Hayyan (Geber), and allegedly of Abu Hanifa, the founder of the Sunni Madh'hab. Sunnis who have wanted to unify all Muslims have often referred to his schools as a fifth recognized legal school, alongside the four Sunni schools. Although the Shi'a community split following his death, his legacy has thus often served a unifying function within the world of Islam, since his scholarship has exercised an influence across the Sunni-Shi'a divide. The sun of the existence of Ja'far al-Sadiq arose from the lap of his mother Umm Farwah bint Qasim ibn Muhammad ibn Abi Bakr on the 17th of Rabi' al-awwal, 83rd year (April 20, 702) Hijra, in the city of Medina. Ja'far Al-Sadiq has the same birth date as that of Muhammad. Ja'far Al-Sadiq has three titles: As-Sadiq, Al-Fadil, and At-Tahir. His father, Muhammad al-Baqir (the fifth Shi’ah Imam), was very happy and pleased by the birth of his son. His mother Umm Farwa was the granddaughter of Muhammad ibn Abi Bakr, who was one of the companions of Ali ibn Abi Talib (the first Shi’ah Imam and the fourth Sunni Caliph). Ali ibn Abi Talib repeatedly said about him that, "Muhammad is my spiritual and moral son." Asma bint Umais was the mother of Muhammad ibn Abi Bakr, and she was considered to be a pious woman. She was continuously in the service of Fatima Zahra bint Muhammad and took pride in it. After the death of her husband Ja`far bin Abī Tālib in the Battle of Mu'tah, Asma bint Umais married Abu Bakr (the first Sunni Caliph) and after his death, married to Ali ibn Abi Talib. Ja'far Al-Sadiq said about his mother, "My mother was one of the pious, faithful and devoted women." Ja'far Al-Sadiq was 15 years old when his grandfather Ali ibn Husayn (the fourth Shi’ah Imam) was killed, and he was 34 years old when his father Muhammad al-Baqir was killed. Consequent upon the death of Husayn ibn Ali (the third Shi’ah Imam), the government of Bani Umayyah was shaken which turned the people into their enemy and pessimistic about them. This opened the avenue for the formation of Bani Abbasid government. The gap in between these two powers opened the way for the propagation of Shi’ah ideology and school of thought through a learning movement, despite lack of political power. As a child, Ja'far Al-Sadiq studied under his grandfather, Ali ibn Husayn. After his grandfather's death, he studied under and accompanied his father, Muhammad al-Baqir, until Muhammad al-Baqir died in 733. Ja'far Al-Sadiq became well versed in Islamic sciences, including Hadith, Sunnah, and the Quran. In addition to his knowledge of Islamic sciences, Ja'far Al-Sadiq was also an adept in natural sciences, mathematics, philosophy, astronomy, anatomy, alchemy and other subjects. 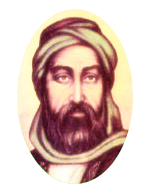 The foremost Islamic alchemist, Abu Musa Jabir ibn Hayyan, known in Europe as Geber, was Ja'far Al-Sadiq's most prominent student. Ja'far Al-Sadiq was known for his liberal views on learning, and was keen to debate with scholars of different faiths and of different beliefs. Abu Hanifa an-Nu‘man was an Islamic scholar and Jurist. He is said to have studied for two years with Ja'far Al-Sadiq (although this is disputed). Jabir Ibn Hayyan - known in Europe as Geber, a great alchemist. Musa al-Kazim - his son, the seventh Shi’ah Imam according to the Twelvers. Isma'il ibn Jafar - his son, the seventh Shi'ah Imam according to the Ismaili. Abu Hanifa - founder of the Hanafi school of thought. Malik ibn Anas - founder of the Maliki school of thought. Wasil ibn A'ta' - founder of the Mutazilite school of thought. Ja'far al-Sadiq developed Ja'fari jurisprudence at about the same time its Sunni legal fiqh counterparts were being codified. It was distinguished from Sunni law "on matters regarding inheritance, religious taxes, commerce, and personal status." Ja'far Al-Sadiq lived in violent times. Ja'far Al-Sadiq was considered by many followers of Ali ibn Abi Talib to be the sixth Shi'a imam, however, the Shi'ahs were considered heretics and rebels by the Umayyad caliphs. Many of Ja'far Al-Sadiq's relatives had died at the hands of the Umayyad. Shortly after his father's death, Ja'far Al-Sadiq's uncle, Zayd bin Ali led a rebellion against the Umayyads. Ja'far Al-Sadiq did not participate, but many of his kinsmen, including his uncle, were killed, and others were punished by the Umayyad caliph. There were other rebellions during these last years of the Umayyad, before the Abbasids succeeded in grasping the caliphate and establishing the Abbasid dynasty in 750 C.E., when Ja'far Al-Sadiq was forty-eight years old. Many rebel factions tried to convince Ja'far al-Sadiq to support their claims. Ja'far Al-Sadiq evaded their requests without explicitly advancing his own claims. He is said to have burned their letters (letters promising him the caliphate) commenting, "This man is not from me and cannot give me what is in the province of Allah." Ja'far Al-Sadiq's prudent silence on his true views is said to have established Taqiyya as a Shi'a doctrine. Taqiyya says that it is acceptable to hide one's true opinions if by revealing them, one put oneself or others in danger. The incidents and difficulties, which come into human life can, measure and find out the extent of his energy and faith. The difficulties, which cropped up in the life of Ja'far Al-Sadiq and the patience and forbearance, which, he showed towards them, illuminated his personality and worth. Howsoever they (enemies) abused and teased him he showed patience and forbearance and admonished them. He never cursed or used foul language about them. The new Abbasid rulers, who had risen to power on the basis of their claim to descent from Muhammad's uncle Abbas, were extremely suspicious of Ja'far, whom many considered to have a better claim to the caliphate. Ja'far was watched closely and, occasionally, imprisoned to cut his ties with his followers. Ja'far endured the persecution patiently and continued his study and writing wherever he found himself. On the other hand, the Abbasids may well have hoped to attract Shi'a support (and may have attracted some) so they could not afford to be too harsh on the man revered by Shi'a as their Imam. He died on December 4, 765. Some say that he was poisoned by Al-Mansur, thus becoming a martyr, like the Shi'a imams before him. He is buried in Medina, in the famous Jannat al-Baqi cemetery. After Ja'far Al-Sadiq's death, there arose a major split between the partisans of the Twelvers and the Ismailis. The Ismailis felt that Ismail bin Jafar, originally designated by Imam Ja'far was the rightful successor as the 6th imam. On the other hand, the Twelvers believe that Ja'far Al-Sadiq chose his son, Musa al-Kazim, as his successor. The two groups diverged, with Ismailism being the dominant sect until the fall of the Fatimid Empire and the rise of the Safavid Dynasty which brought Twelverism to power in Iran. The person moving to help his Momin brothers is like the person who is walking between Safa and Marwa. He who treats people kindly will be accepted as arbiter. To trust everybody in times of injustice and cheating is disability. To recognize the actuality of your friend, you should enrage him. If he keeps up his friendship, he is true friend lest, he is false. Do not appreciate one's affection before you enrage him three times. Do not trust your friend perfectly, because the knockdown of the trustful is incurable. Islam is a definite rank. Faith is one rank higher than Islam. Conviction is one rank higher than faith. People have been given a rank lower than conviction. The desire for the worldly pleasures causes grief and sadness. Abstinence from the worldly pleasures brings about the rest of both heart and body. He who gains oppression is not gaining welfare. He who mistreats people should not complain when people mistreat him. Someone once asked Ja'far Al-Sadiq to show him God. The Imam replied, "Look at the sun." The man replied that he could not look at the sun because it was too bright. Ja'far Al-Sadiq replied: "If you cannot see the created, how can you expect to see the creator?" Ja'far's significance within Twelver Shi'a cannot be over-stated but he is equally important within Sevener (Ismaili) Islam who share the doctrine of the Imamate. His reputation for legal learning also earned him the respect of many Sunni. His legacy has tended to have a unifying influence, since many Sunni regard his schools as a fifth legal school alongside the four that have enjoyed the recognition of the majority of Sunni. In the present, or living Imam of the Ismailis, the heirs of Aga Khan continue to play leading roles in the Muslim world. They have also made significant contributions to improving the peace and sustainability of the world as a whole, through involvement in international agencies, philanthropy and humanitarian initiatives. The way in which they have maintained the specific spiritual, social and cultural identity of their community by exercising religious leadership but with no explicit political power can be seen as a modern expression of the type of leadership that Ja'far represented as Shi'a Imam during a much earlier period. ↑ Golden Chain Naksibenci.org. Retrieved June 10, 2008. ↑ Birth of Imam Jafar as Sadiq Moral Stories - Online References. Retrieved June 10, 2008. ↑ Eighth Infallible Sayings: Golden sayings of Imam Ja'far al-Sadiq (AS) Islamicoccasions.com. Retrieved June 10, 2008. ↑ 2007, Jaffari Islamic Insights. Retrieved June 10, 2008. Halm, Heinz. 2004. Shi'ism. New York, NY: Columbia University Press. ISBN 9780231135863. Ja'far ibn Muhammad, an article of Encyclopedia Britannica Online. Biography of the Sixth Imam by Sheikh al-Mufid. This page was last modified on 12 March 2018, at 19:14.